TME’s offer includes rotary switches from NINIGI. 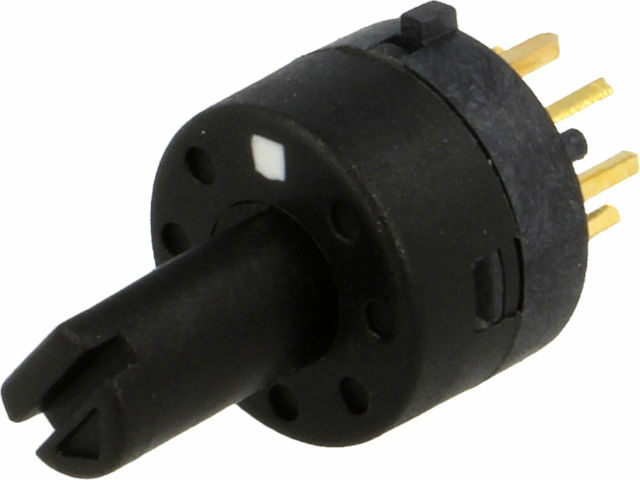 The presented products are single pole switches with different kinds of leads: for PCB or soldering. Versions with straight or angular leads are available. The number of available stable positions is from 3 to 12, depending on the model. The switching method is BBM (Brake Before Make – a non-shorting method). They are characterised by a wide range of operating temperatures from -20 to 70°C.